A few weeks ago, I wrote this post about 72 Hour Kit ideas, and it was a hit right away. Since we love the Dollar Tree around here, I wanted to put together a 72 Hour Emergency Kit made with Dollar Tree supplies. I think a lot of people don’t realize how much variety they have at the Dollar Tree, and they often think that there is just junk. 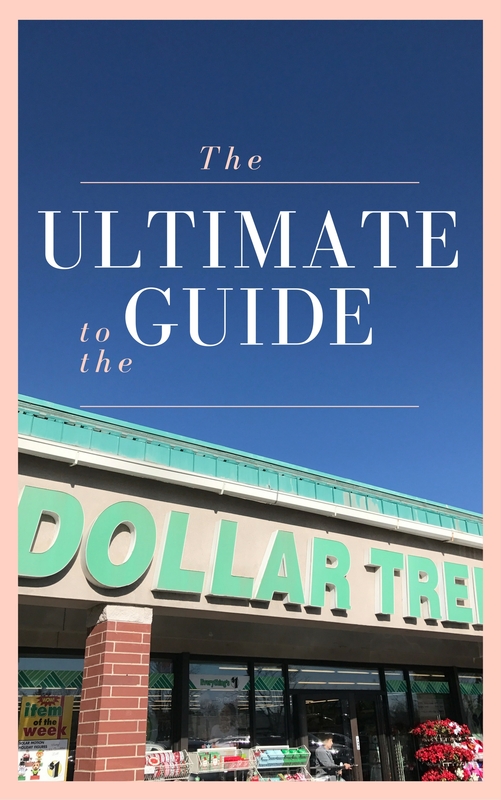 ‘Tis not so – read this post about the best products at the Dollar Tree to see what I mean. Anyways, you can make a pretty good emergency kit with items from the Dollar Tree. We spent almost exactly $50 on all the items we are listing – however, many of them can be used for multiple kits. You will obviously want to check out our post about 72 Hour Emergency Kit ideas for some of the bigger items not available at the Dollar Tree, but I think this will be really helpful. We actually put this in our basement to be used as a 72 hour kit, along with the ones we already had, so it’s something we do plan to use if we have to! You can also signup below to receive a FREE printable 72 Hour Kit Checklist, along with some other amazing preparedness printables. I’ll talk more about that in a bit. Over 20 pages of preparedness printables, including a 72 hour kit checklist! Most of these items can be bought online or in store. Online definitely makes it even more convenient! Many of them have to be bought in bulk, so this would be great for buying for an activity at church or with friends! Baby Bath Pack – we loved this little kit, and it can be used for adults too. It has shampoo, lotion, and bubble bath. Obviously, this just scrapes the surface. I highly recommend perusing their store or online to make sure you get the best items for your family! Several of us bloggers have put together an amazing bundle of printables for everyone to have for free upon signing up for our email lists! We hope this well help you feel a little bit more prepared in the face of disaster. Annette from Tips from a Typical Mom has a Family Evacuation Plan which includes things like Meeting locations, emergency contacts, shelters and evacuation routes, and other emergency numbers. Katelyn from What’s up Fagans? has a Personal Document Protection printable, which is basically a simplified checklist to help you make sure your old photos, videos, audio files, journals, and other documents protected physically and digitally! Camille of My Mommy Style has a handy Family Fire Safety Log where you can track your family’s readiness in case of a fire in your house, as well as make sure you are checking your smoke and CO detectors. Herchel of Gym. Craft. Laundry. has practical hurricane tips for when things you need are sold out! As a Florida native, her prep hacks are genius! Sarah of Thank You Honey has an easy Hurricane Checklist printable to help you make sure you have everything in place before a hurricane heads your way. Lara from Overstuffed has a Password Keeper to help you keep track of your online passwords as a means to help you avoid being a victim of identity theft. Receive all of the above printables for FREE when you sign up for our lists below. May you be prepared for whatever may come your way! I’m preparing to teach a short discussion on 72-hour kits. Thank you for the great resources! I love this! I really need to get going on our 72 hour kits. Especially with all the bad things happening around the world!